1. 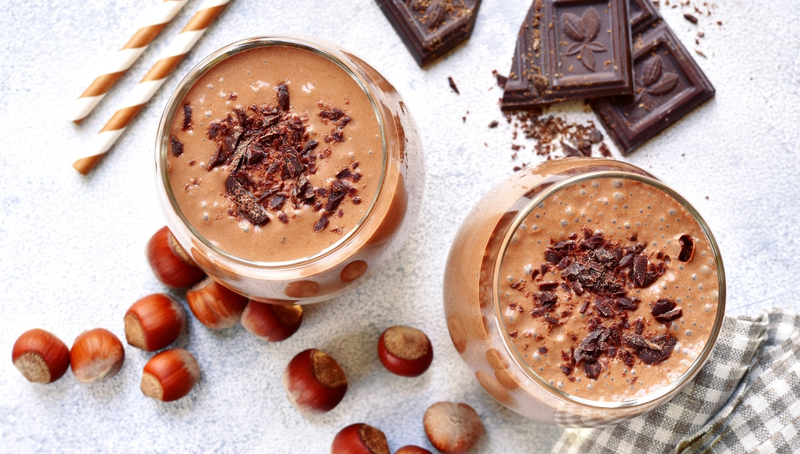 Combine The Water, Hazelnuts, Earth’s Finest Organic Chia Seeds, Cacao Powder, Dates, And Salt In A High-Speed Blender, And Blend Until Smooth. Adjust Any Ingredients To Taste, Then Add In The Ice And Blend Again To Create A Milkshake-Like Texture. 2. Pour Into Two Glasses And Serve Immediately!